Are you coming to The Memorial Stadium for the game against Carlisle United. Why not purchase the matchday programme, The Pirate? 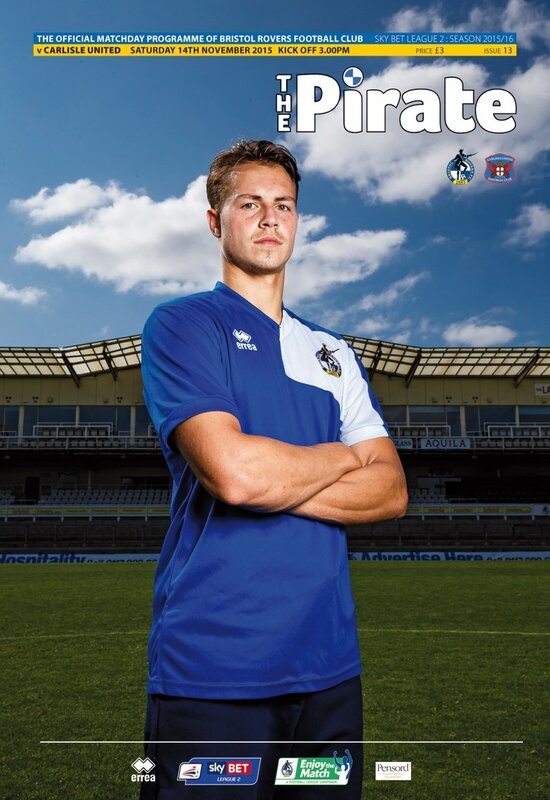 ◊ It has 72 pages of BRFC articles and images and will cost you just £3. ◊ ◊ ◊ Interviews with Stuart Sinclair and Daniel Leadbitter. ◊ ◊ ◊ ◊ Featuring scholar Bradley Confrey and coverage of two BRFC Academy Under 18 fixtures. ◊ ◊ ◊ ◊ ◊ Who has worn shirt 21? Lewis Hogg and Wayne Brown? Who else? ◊ ◊ ◊ ◊ ◊ ◊ Larry Lloyd is covered in the Great and The Good section. Who else?